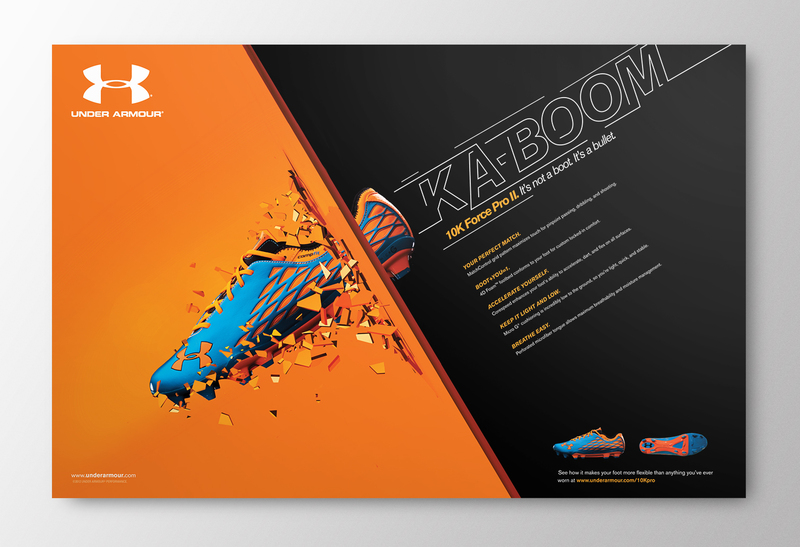 From break away speed to complete ball control in any situation, UA soccer boots play through any scenario the pitch throws at you. 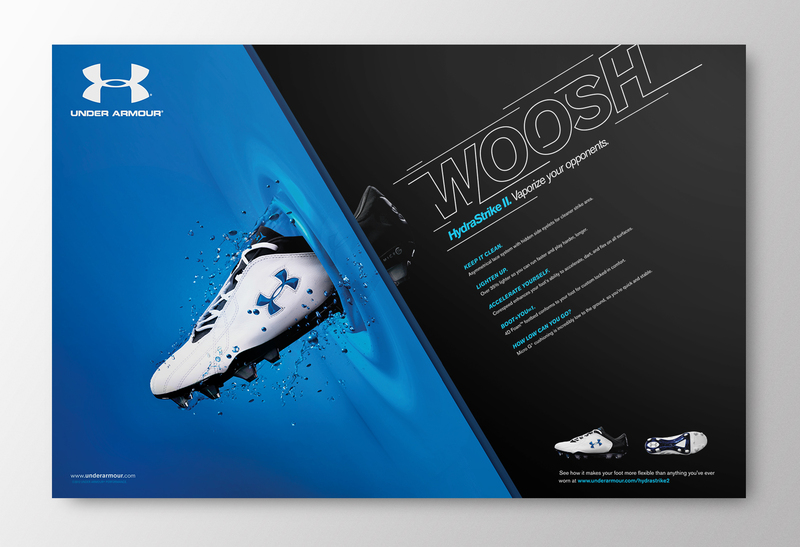 These are two executions of creative direction for the HydraStrike II and 10k Force Pro II. Using 3D and photography, the campaign illustrated each boots unique ability.